Earlier this year, Yahoo pulled the plug on one of the first instant messaging apps on the market – Yahoo Messanger. The reason? Lack of interest. Simply put, people had moved on to greener (perhaps more secure) pastures. But the company is at it again with another messaging app. It's got a hip new look and wants to be your go-to messenger, no matter whether you're texting a friend, your significant other, mom and dad, or a business partner. It's Yahoo Together. Yahoo Together doesn't hide its ambitions to compete with every other app on the market, especially Slack. 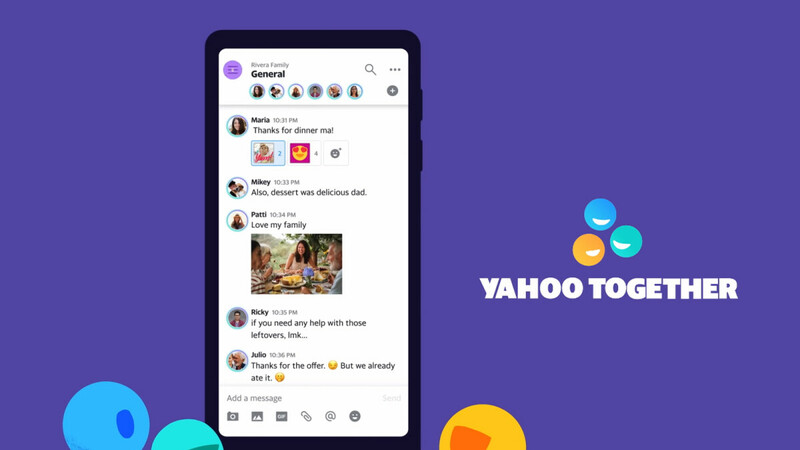 It's never said outright, but just a single glance at the user interface of Yahoo's latest messaging app gets the message across. It is very similar to Slack, indeed, though it lacks some of the features that Slack has. As far as functionality goes, we're sure that stuff like voice calling (which is surprisingly not a thing in Yahoo Together on release) will be rolled out eventually, but in the vast ocean of messaging apps, can Yahoo's latest offering differentiate itself enough from the competition to actually compel you to use it? Yahoo Together is helmed by the same team that developed Yahoo Messenger. The app had a closed beta earlier this year under the name "Yahoo Squirrel" but is now available on both Android and iOS. To use Together you need a Yahoo account, though you can invite people to your group who are not signed up. This happens with a unique code that the invitee can enter upon signing in. The app is a bit rough around the edges still, though it has a rather unique feature in the form of Smart Reminders. These allow you to set a reminder for any message in a chat and have all participants notified at a chosen date and time. Unfortunately, as of yet at least, Yahoo Together doesn't have a desktop or a browser version. Yahoo would be wise to at least develop a web-based version for its latest service, lest it meets a similar fate to its predecessor. Pointless for us not so for harvesting data . Who's gonna use this? Yeah, nobody. They should just keep Y!M alive in the first place, they just need to make a mobile version of it, and do it 6 years sooner. But I'll stay away from them, they deleted my Yahoo Mail account without any notice, just because I didn't login for several months, and with no way to recover it.